So I’m home alone, the TV’s rubbish tonight (especially because I’m not allowed to watch Sons of Anarchy on Netflix when the boys not here) and it’s been a pretty stressful week on the whole. To me this means grab a good book, a lovely cup of tea and use some of the indulgent bath treats I’ve been saving from Christmas. There’s nothing more calming and stress-relieving than a bubble bath that is so ridiculously long, you need to keep topping up the hot water using your prune-like toes to turn the tap, because, well let’s face it, using your hand would be far too much effort. I decided to finally use all the skincare goodies from my No7 25 Days of Beauty Treats advent calendar. Priced at £35 and apparently containing over £100 of products, in my opinion it was the most reasonably priced and appealing beauty calendar of 2014, and there was a lot to chose from. I can’t wait to see how certain beauty brands will top their efforts this Christmas! Anyway, getting back to my night of pampering with No7 (and Ben & Jerry’s), first of all I took off my make up with the No7 Beautiful Skin Eye Makeup Remover (£8.50/100ml). The remover was really gentle to my sensitive skin and was very effective at removing all traces of my Bourjois 1 Seconde Volume mascara. The remover was a little oily so I could see why this may put people with certain skin types off this product. The oily formula was surprisingly not greasy though, it enabled my make up to simply slide off. Any excess oil was removed easily with a cotton wool pad. The remover left my skin soft and caused no irritation. I cleansed my skin using my Merumaya Melting Cleansing Balm (30ml) and moved on to the Beautiful Skin Radiance Exfoliator for normal/dry skin (£8.50/75ml). This product was packed with tiny exfoliating beads, which I initially thought would be too harsh on my skin, but the creamy texture and a slow massaging technique helped combat this, making the formula actually quite gentle. As soon at I patted my face dry I could feel how much of a deep clean the radiance exfoliator gave me. My skin felt extremely soft and smooth but not tight and as thirsty as some exfoliators can feel. After my scrub I used the Protect and Perfect Intense Day Cream (£23/50ml). First of all I was so impressed to receive a very generous 25ml sample considering it’s price tag! The SPF 15 hypo-allergenic cream sank into skin effortlessly. It’s recommended to be used in conjunction with Boots award winning beauty serum but unfortunately, I don’t own this so can’t comment on its compatibility. I also received the night cream in a 25ml tube too! Both promise to “improve deep lines and wrinkles for younger looking skin in 4 weeks” – deep wrinkles? That’s a really big promise, I’ll put a reminder in my diary and let you know the results! Now, I always get confused is it serum before or after moisturising? 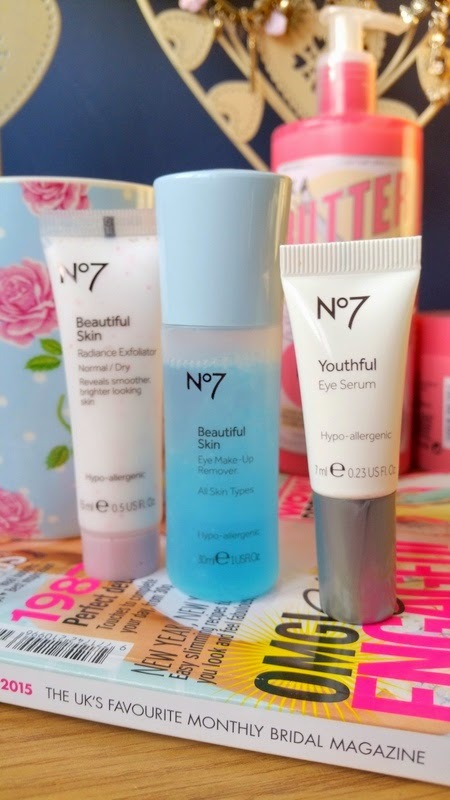 Hmm, trusty Google isn’t very clear on this, anyway I then went on to apply No 7’s Youthful Eye Serum (£19.50/15ml) which again makes some bold statements about “In just 4 weeks it reduces the appearance of wrinkles, dark circles & puffiness”, once again I promise to report back! 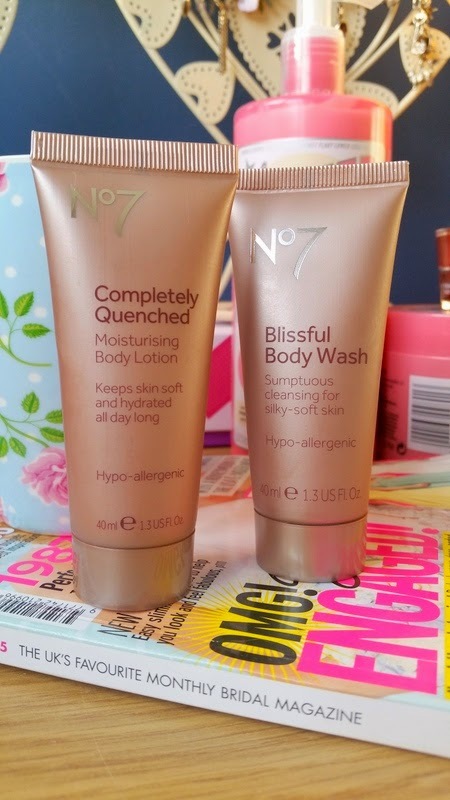 And to complete my night of relaxation the dreamy duo of No7’s Blissful Body Wash (£9.50/200ml) and Completely Quenched Moisturising Body Lotion (£10.50/200ml). Both creamy and indulgent, these two miracle workers compliment each other perfectly. Both delicately scented, the wash’s thick lather leaves skin soft and pampered whilst giving a deep clean. The lotion is great for those thirsty patches (knees, elbows and ankles) to give an even deeper level of hydration that lasts all day. Both are a little more than I would usually spend on bath products but Boots are well known for their 3 for 2 deals and beauty vouchers so I might wait and see if I can snap up a bargain in the next couple of months. What are your thoughts on these products and beauty calenders in general? 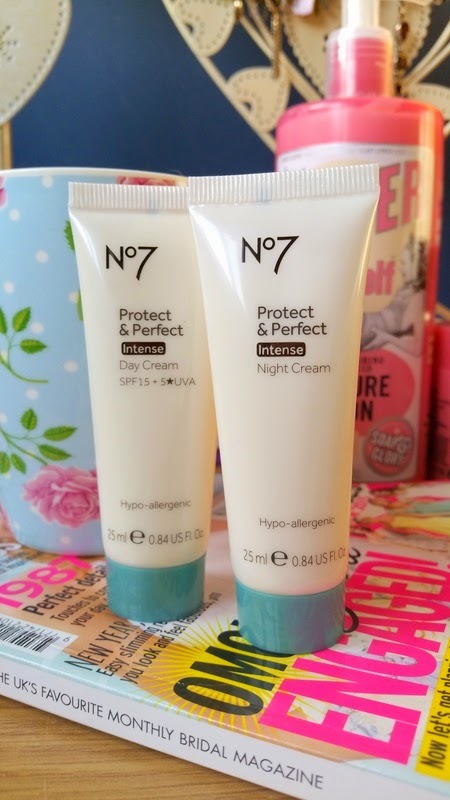 Any favourite No7 products you’d like to share? Please leave a comment below and don’t forget to follow on Bloglovin! "Beauty | Soap & Glory – Righteous Butter & Sugar Crush Review"
"Lifestyle | The Netflix Tag"